Everybody loves to use authentic products. If you have designed a product, you would not want it to be counterfeited. Every country faces a major issue when it comes to counterfeiting and infringement of intellectual property rights. For example, you might be owning a very good clothing brand which ships all around the globe. You might have spent on advertising to establish the initial brand presence. However, even after all this the sales of your product might do down because of counterfeiting. People will prefer lower cost goods which have the same features as the original one won’t they? 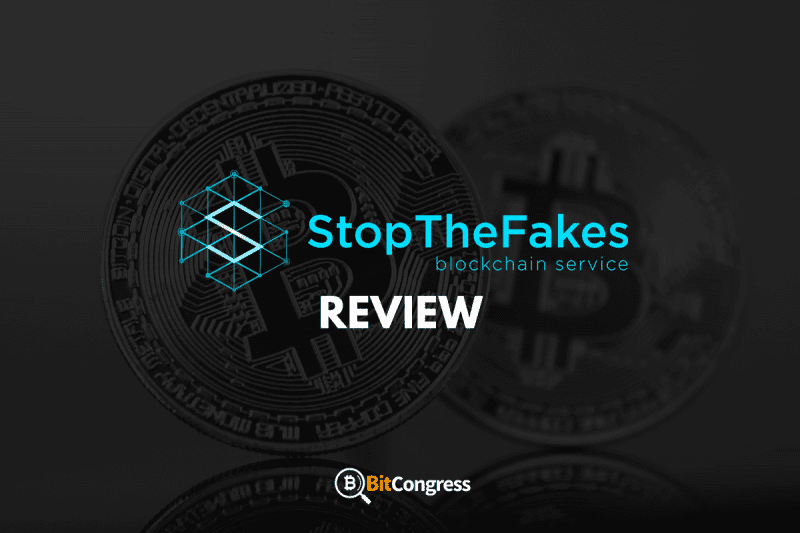 StopTheFakes is an ICO project aimed at countering the multi-billion dollar counterfeit market. 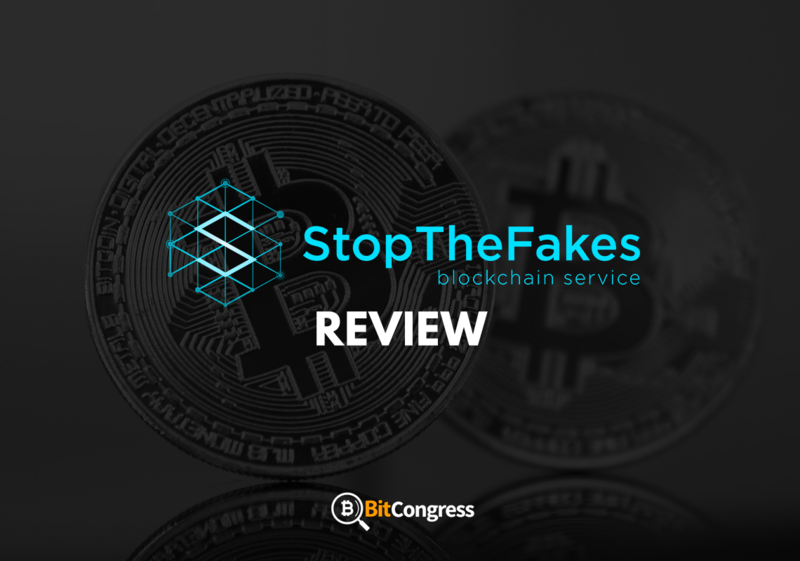 With StopTheFakes, companies will be able to identify, document and stop counterfeiting easily and at the same time saving a lot of money in the process. This project is built on the Ethereum smart contract platform and has its own token which is the only method of payment within the system. The whole system is dependent on the user who is also referred to as the doer. The user takes screenshots of the counterfeited product and sends an alert to the requester(company) using the app. This is then stored in the right folder on the Blockchain. The requester is the person who is searching for violations committed against him. The requester now has all the proof needed to take down the counterfeited product. The requester can now send a formal letter to the offender which includes the screenshot of the offense and also the link to the website where the product is present. The offender will then have to take down the product. You might be wondering what is in it for the doer? Well, StopTheFakes platform has its own token which is paid by the requester to the doer for every counterfeited product he finds. So, the doer is motivated to find more such products. Since this project is open-source and is available to all, counterfeiting can be eradicated without having to spend millions of dollars. The project is open source and is available to everyone. The platform uses Microsoft’s Azure services for hosting. The server is configured using ASP.net core which makes it extremely user-friendly. They are also developing a mobile device capable of capturing a screenshot, accessing the internet, photo and video recording including geodata identification. Product creators, video creators, logo designers, etc are going to be benefitted by this project. The creators of products and services are going to be benefitted from this project. Having to spend less on copyrights and counterfeit detection, it helps them use this money to create better things. Here are a few examples of how the customers are benefitted. They can easily detect and stop the sales of counterfeited products. The cost of counterfeit detection and documentation will be lower than other techniques. Movies are being pirated and uploaded on the internet on a daily basis leading to huge losses for the film studios. It is very hard and expensive for them to find and stop each of these pirated movies. However, with the help of StopTheFakes, these pirated copies can be stopped quickly at a much lesser cost. Searching for bootlegged music is costly and also requires multiple resources. StopTheFakes helps the original owners to solve this issue by attracting a number of users to track piracy. Counterfeiting has plagued the world for a long time. It has been very hard to try and eradicate this problem so far. With the help of StopTheFakes, leveraging users to find and report counterfeited products by giving them rewards in return can be a game changer. With Stopthefakes, the dream of having a piracy free world can come true.